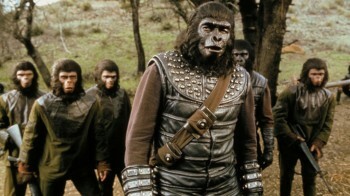 Okay, so there’s a new Planet of the Apes movie coming out this summer and judging by the trailer, it looks good. 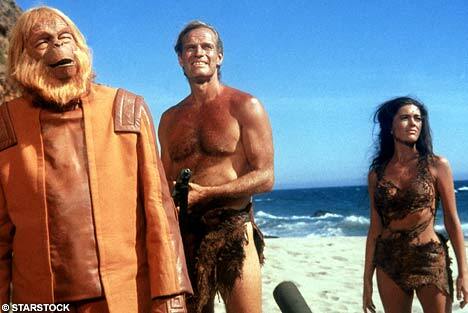 So to celebrate, let’s look at the long history of the Planet of the Apes movies. P.S I’m not going to look at any of the TV shows or independent spinoffs, I’m just looking at the 7 theatrical movies. 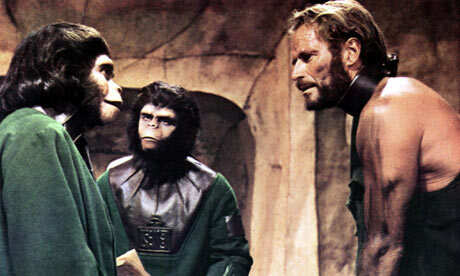 The original Planet of the Apes is widely regarded as one of the greatest Sci-Fi classics of all time and for a good reason. The action may not be that exciting but the drama is still very strong, the ape make up is incredible, the cinematography and landscape are riveting spectacles and there are plenty of quotable lines of dialog “Get your stinking paws off of me you dammed dirty ape!” The final shot of the statue of liberty is one of the most iconic and disturbing images to end a film. But beyond all of that, this movie really raises some thought provoking questions on our culture and it stands as a rich warning story of ware humanity can and may ultimately lead to in the future, extinction by our own stupidity. At first it seems like a good follow up to the first film but when the characters discover the underground society of people who worship an atom bomb, it suddenly feels like a completely different movie. Most of the characters from the first movie only make brief appearances but there are some questions from the first film that do get answered and it does provide some enjoyment. Of the 4 sequels to the first film, this one is easily the best and most character driven. 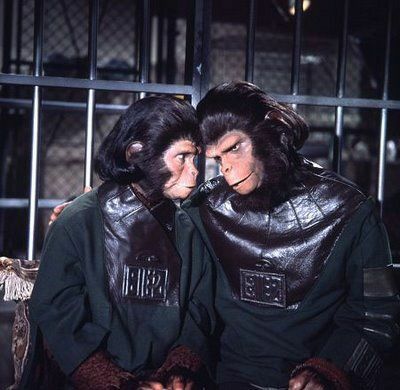 You find yourself getting really attached to the two lead apes (Zira & Cornelius) as they try to make piece with the human race. It’s like a role reversal of the first film and is more compelling and touching then other entries in the series, despite some stupid moments. Oh, almost forgot to mention a small yet still moving performance from Ricardo Montalban. 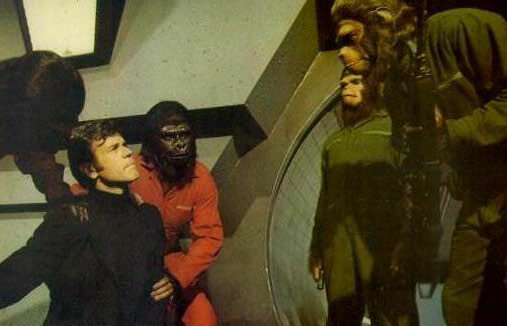 Probably the darkest, angriest and most disturbing entry in the series (as well as the main inspiration for the new Planet of the Apes movie). 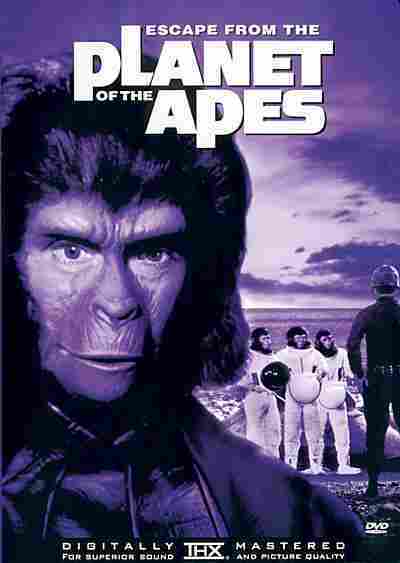 An ape named Caesar (the son of Zira & Cornelius) is convinced that humans are evil and he leads an all out attack against humanity. For the most part, there’s hardly anything happening in this film, and it’s not until the very end that things get interesting and exciting. For the most part, it’s just sad and often boring. 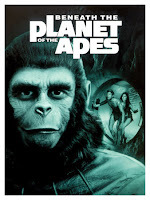 It is the first and only film in the series that a character actually says the title “planet of the apes” in a sentence. The fifth entry in the series is critically regarded as the worst of all the Planet of the Apes movies and while I do agree that it’s the weakest, it’s not terrible, I’ve seen worse. I actually think it’s more entertaining than Conquest of the Planet of the Apes and it brings a satisfying conclusion to the series, with a big battle and apes making peace with humans. 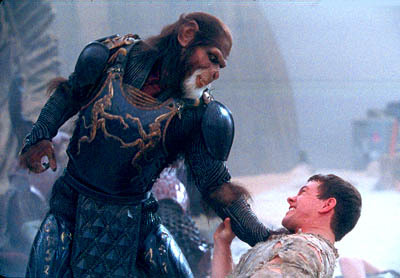 But there are plenty of problems, the acting is a little corny, the plot is lame, most of the characters aren't interesting and what the heck was up with that ape statue crying at the end of the film, I just don’t get it. 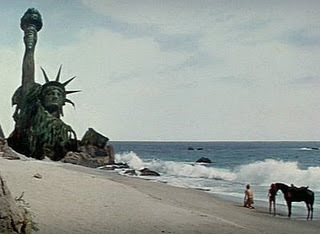 The 2001 remake of Planet of the Apes is often regarded as one of the worst remakes of the decade but in all honesty, I like it. It’s no masterpiece or anything, but it does make for a fun, action packed, visually dazzling, Sci-Fi blockbuster. There are some stupid things that way it down, like that stupid ending, the boring lead character and the fact that humans actually have intelligence but there still treated like unintelligent beings. However, there’s still plenty of things to like in this film. 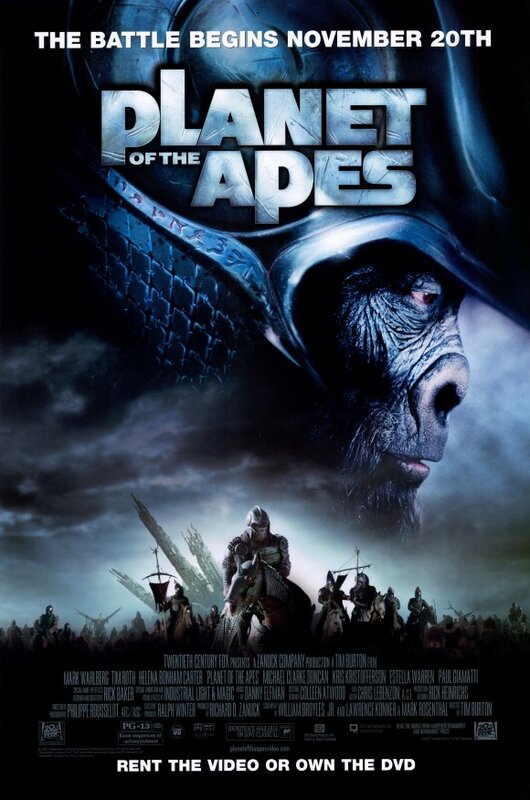 Some of the ape characters were good, the makeup is very impressive, the opening was outstanding, a lot of set pieces were really cool to look at, the battle at the end was very exciting, and there are plenty of fun B movie charms that make it worthwhile. My favorite of the series by far, it sets up the story very well, there’s genuine emotion and fear that comes from the characters, the action is great and of all the films, this one made me care the most. 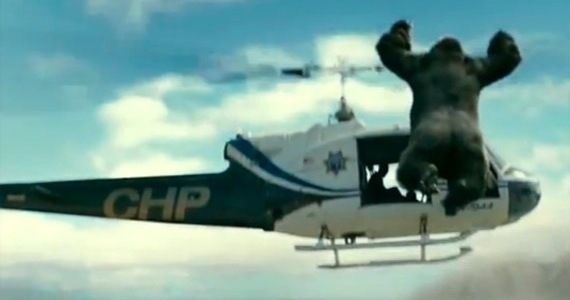 My full review for "Rise of the Planet of the Apes" is now up, check it out.